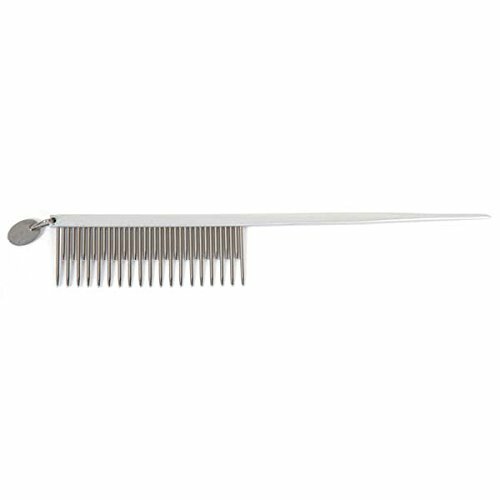 Geib top-of-the-line stainless steel combs are a must have in every professional's tool case. Their reputation for quality and strength is apparent in these durable tail combs. The shedding comb removes dead hair from double-coated breeds and long-haired cats easily and quickly.